to test the urban use of electric vehicles (EVs), plug-in hybrid vehicles and electric scooters. 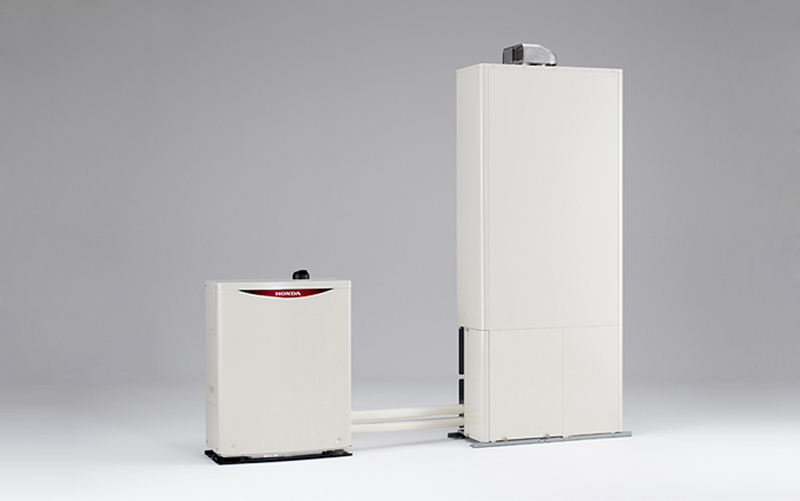 such as a gas engine cogeneration unit and a solar power system. 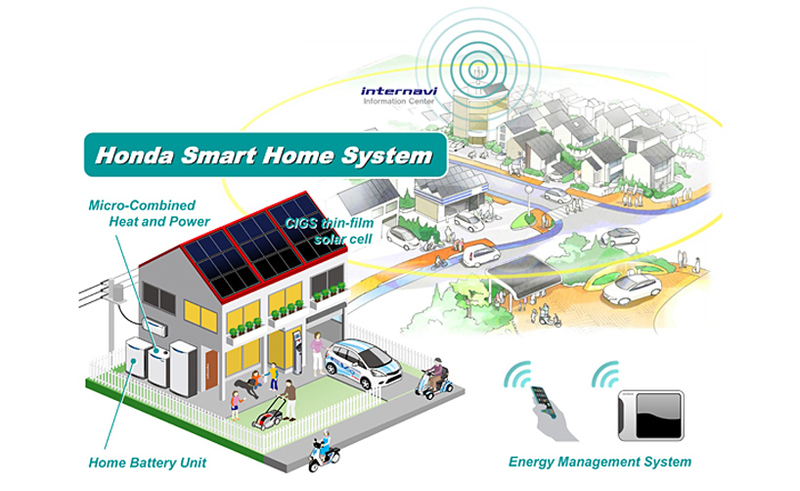 the honda smart home system will provide heat and electricity for the home, producing power for the use of electromotive mobility. potential to independently produce electricity for the household in the event that there is a disaster. * enhancing access to electric vehicles and creating ev-related business models. * creating independent home communities focused on local energy production and consumption. * developing household energy systems that can operate in the event of a disaster. a) constructing an electric charging safety net. * identifying electric charging infrastructure appropriate for the unique characteristics of the city of saitama. * maintaining compatibility between current charging infrastructure and electric vehicles developed in the future. * using solar panels and fuel cells to supply energy. b) stimulating demand and applying incentives. * promoting the shared use of electric scooters and automobiles. * promoting the use of electric scooters for commercial use. * developing a wide variety of electric vehicles to meet citizens� needs. c) tailoring educational initiatives to local needs. * implementing riding safety seminars featuring electric scooters. * implementing electric cart seminars for seniors. burning natural or liquid propane gas to generate electricity and heat water simultaneously for high energy efficiency.